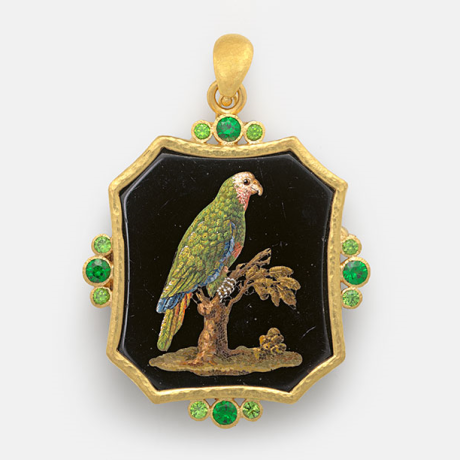 View this extraordinary collection of exquisite, intricately crafted works of art—precious souvenirs designed for Grand Tour travelers of the mid-18th to late-19th centuries. The wide range of subjects depicted in these 92 works include Renaissance paintings, architecture, birds, animals, historical sites, landscapes, and portraits. Micromosaics created for Grand Tour travelers reflect the sophisticated pursuits of elite Europeans for whom travel was a rite of passage. 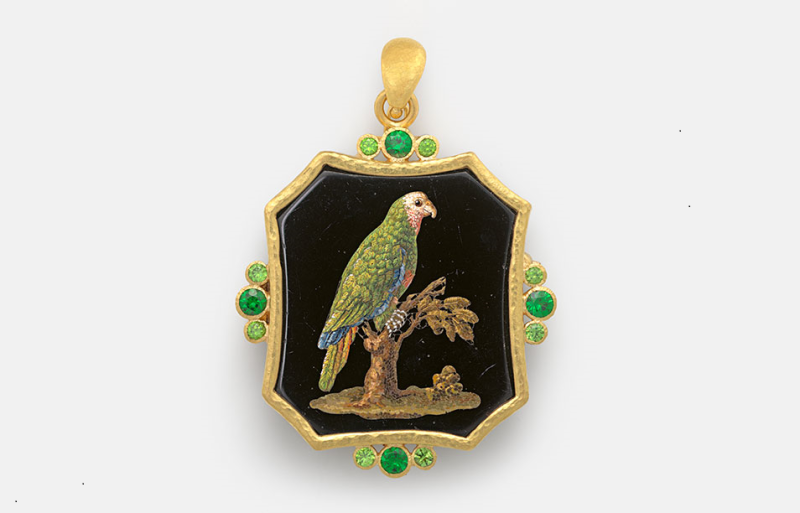 The works of art on view in this exhibition, which are predominantly stunning pieces of jewelry, are dazzling in their exquisite detail and craftsmanship. In addition to the tiny enameled glass that forms the mosaic, eye-catching designs include gold, precious stones, and diamonds. VMFA is pleased to present this decorative arts exhibition and to share these fine works of art from the Elizabeth Locke Collection of Micromosaics.